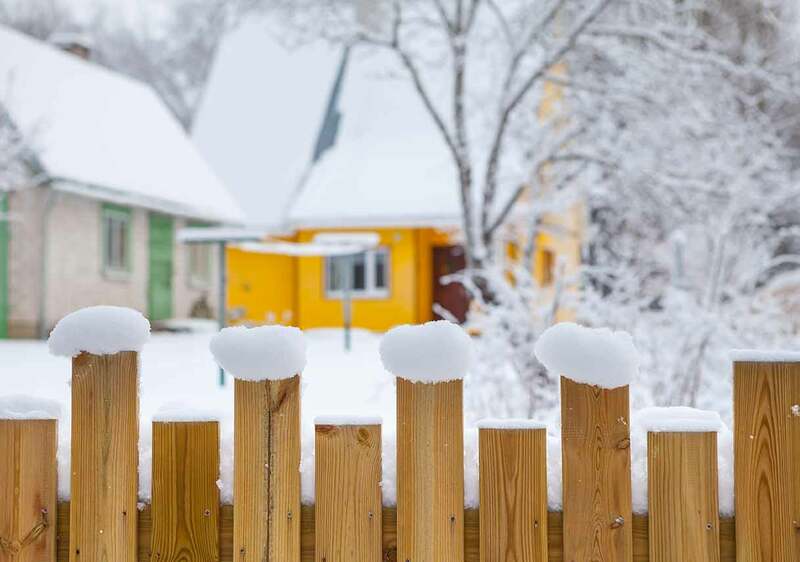 Siding is your home’s first line of defense against the elements. Naturally, the elements take a toll. A common sign of nature’s effects on your siding is the development of mold or mildew. Taking preventative measures will reduce the risk of mold and mildew growth. If you notice pesky fungi build-up on your home, it’s important to take steps to remove it and then prevent it from happening again. Keep reading to learn more, and then contact a Best Pick pressure washing professional today to get your siding cleaned and back to prime condition. While mold and mildew are both fungi, one is generally a more serious issue than the other. Mildew looks powdery or fluffy and is usually gray, white, or yellow, although it can darken over time to brown. Typically, it affects crops and plants, but it can also grow indoors on moist surfaces. 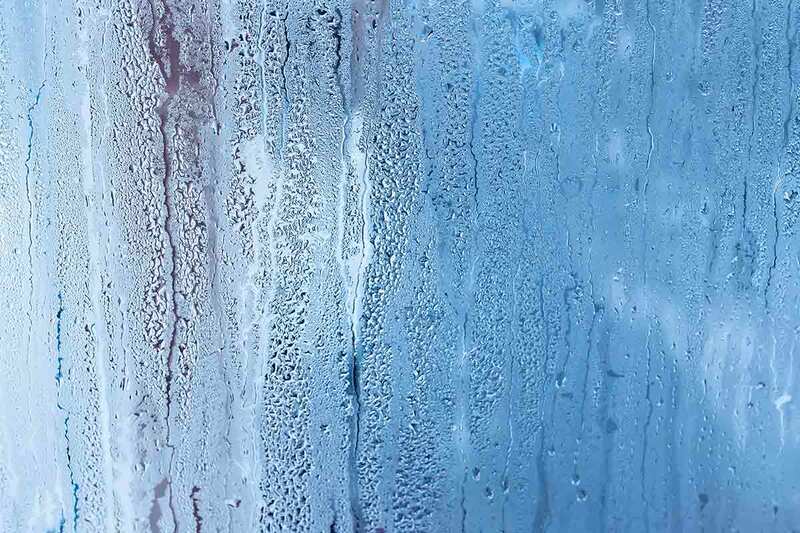 Since mildew only lives on the surface of materials, it is easier to clean than mold. Mildew can be irritating to people, causing sore throat, coughing, and headaches; however, it’s not usually as dangerous to respiratory health as mold is. Mold looks fuzzy or slimy and comes in many colors, from dark green to bright red to black. It can cause structural damage if left to grow unchecked. Mold is also known to cause health issues, including allergic reactions and respiratory issues. Mold is easy to identify when you see it, but it can grow unseen for a while. If you smell something musty or foul in an area prone to moisture, do a thorough visual inspection of the space for signs of mold growth. Moisture and lack of light are the keys to mold and mildew growth. You probably wouldn’t be surprised to see mold or mildew in a crawl space, basement, or poorly ventilated bathroom, but your home’s exterior can also be a prime location for mildew and mold to grow. Think about it this way: What do damp crawl spaces, basements, and bathrooms have in common with the side of your house that doesn’t receive direct sunlight? When water sits on a shaded surface—especially one that is covered in small particles of dirt and environmental debris, like siding typically is—fungi spores have the opportunity to grow. This spore growth produces visible mold and mildew. 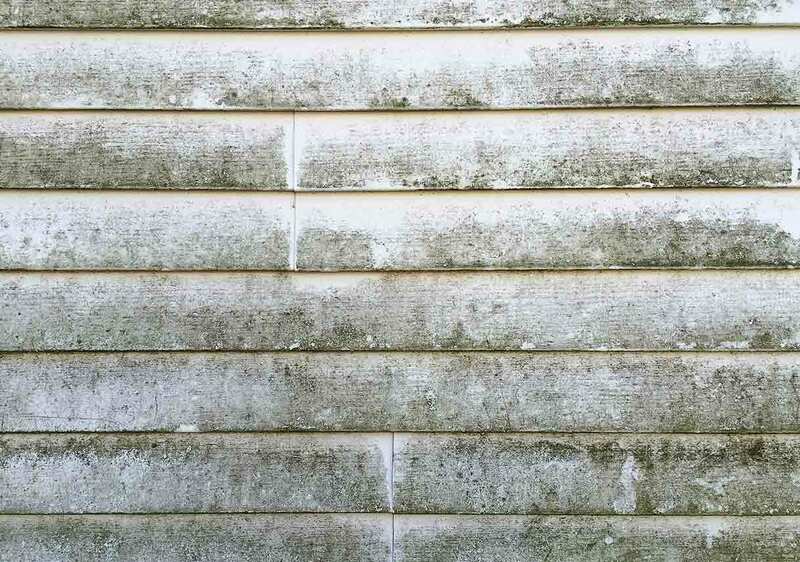 If you have mold or mildew growing on your home’s siding, you’ve probably noticed the stains only on the north-facing side of the house or where landscaping has grown too close to the siding and created perpetually shady spots. These shaded areas and the north side of your house receive very little direct sunlight (if any at all), which means that moisture doesn’t have a chance to evaporate—the water just hangs around on your siding, creating the perfect habitat for mold and mildew spores. 1. Remove sources of moisture. Trees and shrubs planted too close to your home. These landscaping elements prevent sunlight from evaporating moisture off siding. Climbing vines or moss. 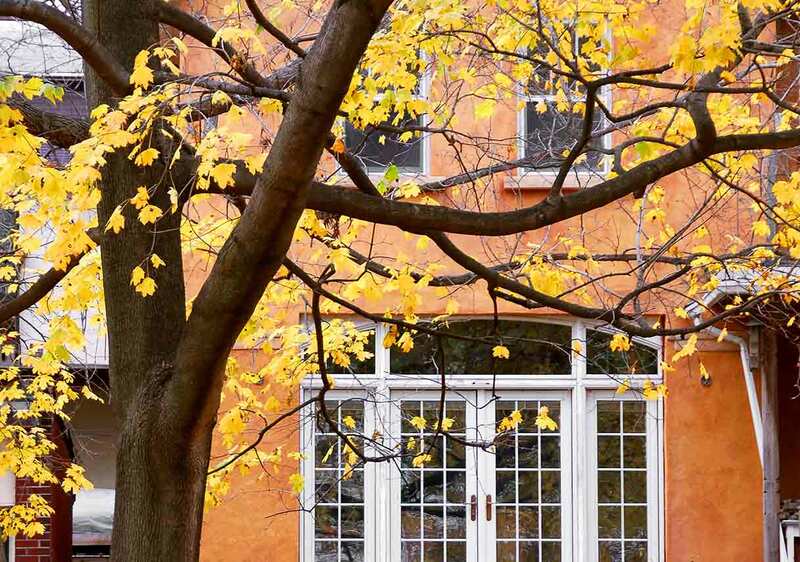 Avoid letting ivy, vining plants, and moss grow on your house. These plants obscure the sun and attract moisture, which causes deterioration of virtually any type of exterior cladding. Gutter leakage or overflow. Clogged or improperly sloped gutters cause water damage that can affect your siding, roof, and foundation. Be sure to address this type of issue as soon as possible to avoid widespread damage to your home. Improperly placed sprinklers. Sprinkler heads that are placed in the wrong spots or too close to your house can direct water towards your siding rather than your beautiful lawn, caused mold and mildew development. Check the placement and coverage of your sprinkler system to make sure your siding is out of the splash zone. Dryer ventilation. Your dryer vent produces steam, which can encourage mildew and mold growth. 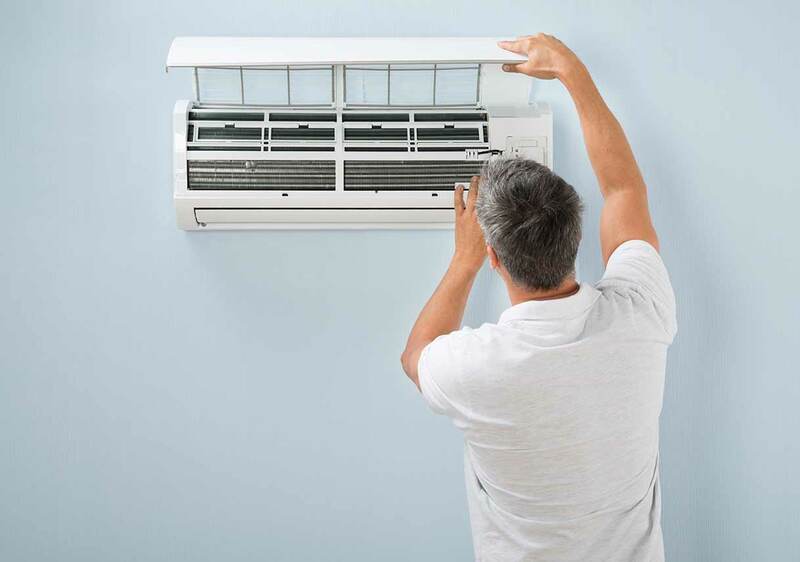 Make sure your clothes dryer is venting into a space that isn’t enclosed or blocked by foliage so that the excess moisture has somewhere to go. 2. 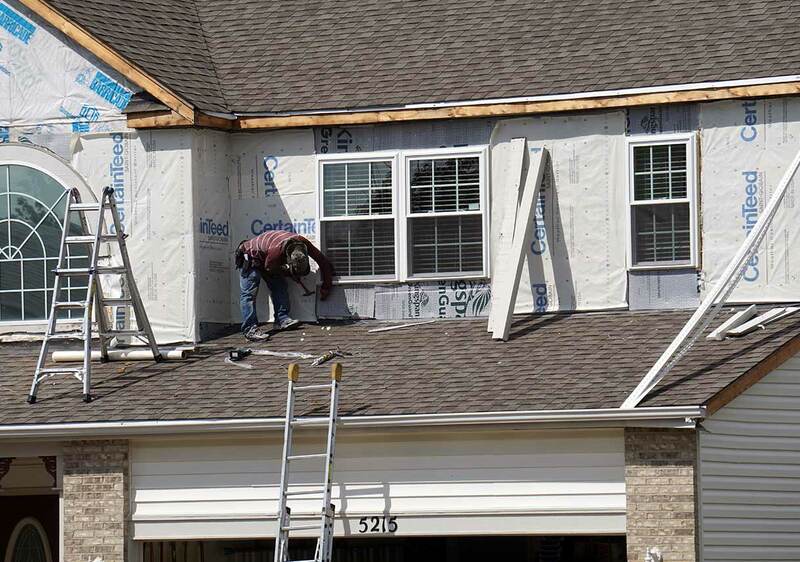 Stay on top of siding maintenance. Siding maintenance is the key to catching potential sources of damage early. Inspect your siding. Regularly take a walk around your house to check out the condition of your siding (and while you’re at it, check out your roof and foundation, too). This will allow you to stop mold and mildew growth early and catch any other siding issues before they lead to further damage. Reseal or repaint your wood siding. Wood siding requires regular care to protect it from the dangers of moisture. Reseal it every couple years or repaint it every five years, or sooner than that if you see chipped or cracked paint. 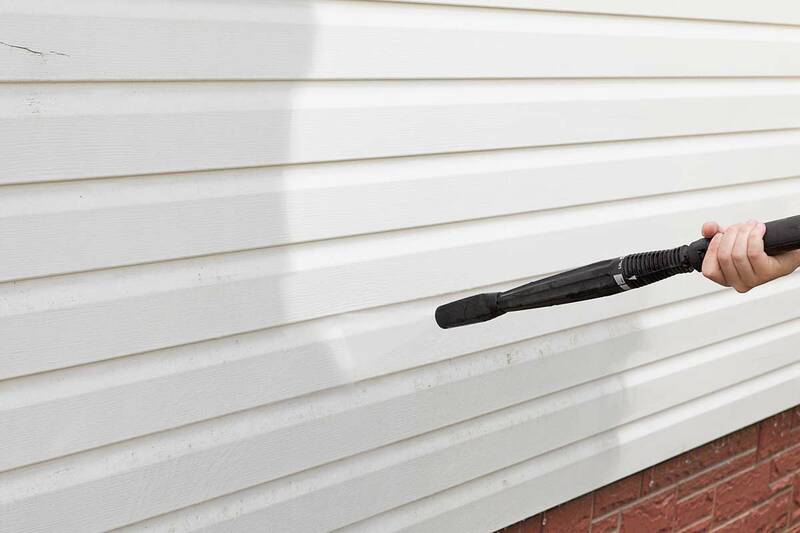 A pro can also clean your wood siding using a soft-washing technique to remove dirt and mold. Clean your siding. It’s important to keep siding clean, so remove dirt, grime, mold, and mildew from your siding as soon as you can. 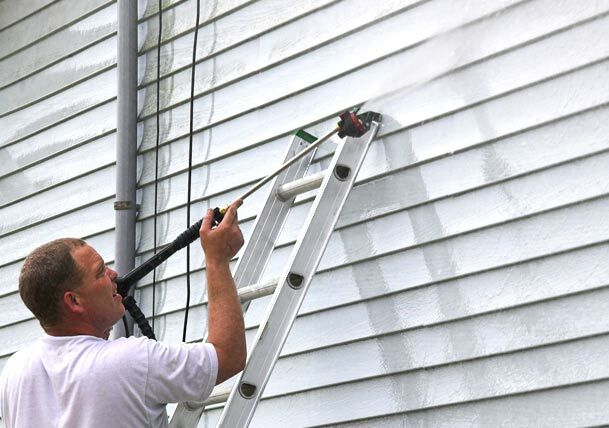 A Best Pick pressure washing company will have the right equipment and the experience to bring your home’s siding back to life without causing damage. If you need your siding cleaned, you might be tempted to do it yourself. However, it can save you a lot of time, energy, and potential injury to yourself or damage to your home when you call a pro. Best Pick pressure washing companies have the tools and expertise to properly pressure wash your house to remove dirt, grime, and mildew. Some siding types can only be cleaned at certain pressure levels to avoid damage. And the wrong pressure washer nozzle can easily strip paint, break windows, and gouge wood—not something any homeowner wants! Take the pressure off yourself and call a Best Pick power washer to handle this big task. Regularly inspect your siding for signs of mold, mildew, and general deterioration. Address mold and mildew growth early to prevent serious damage and health hazards. Have your home’s exterior cleaned regularly by a Best Pick professional pressure washing company. When your siding is clean and mold- and mildew-free, it will look better and perform well for longer—exactly what you want when you protect and maintain your home.